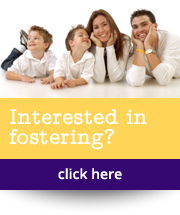 If you want to become a foster carer with Foster Care Connect, the process will take around six months. Step 1 Initial application form: You fill in our short application form and a supporting statement on what you feel you can offer as a foster carer. We will read this carefully and get back to you in about a week. Step 2 Home visit: We visit you at your home, and tell you about the fostering task and working with Foster Care Connect. At this point, we agree whether or not to proceed with the next step. Step 3 Training: We will invite you to our ‚ Skills to Foster training course, where you will explore important issues around fostering and learn some of the skills you will need, alongside a small group of other foster carer applicants. This is a chance to think through the implications of fostering in depth, and establish whether you want to proceed with the formal application. This course is an essential part of the application process, and our foster carers tell us they find it extremely helpful. Step 4 Formal application: You complete a formal application form to Foster Care Connect. Once this has been received, we will begin the Form F assessment process. Step 5 Form F assessment, including home study: This is the longest part of the process, taking 4-6 months. 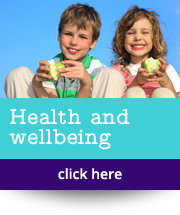 It includes a series of interviews with you, your partner, birth children, and standard checks including Local Authority check, Disclosure Scotland (PVG Protecting Vulnerable Groups registration), health visitor and school checks. It may also be appropriate to ask your employer for a reference. It may also be necessary to meet with a previous partner. You will be asked to complete a medical history form, and then visit your GP for a medical to be completed on your medical fitness to foster. You will also be asked for references. One of our Form F assessors will complete what is known as a Form F report at the end of the assessment. You are very much part of the assessment process, and you will be able to read the report with the Form F assessor, and make any required changes. This isn’t as daunting as it sounds, and every step is vital to ensure that you are prepared for a child to be placed with you. Step 6 Fostering panel: Your report goes to our independent fostering panel, which meets 3-4 times a year to consider applications from people who want to become foster carers. It has 10 members, including a nurse, head teacher, social workers and a member of the local authority family placement team. If the fostering panel recommends that you should be approved, all the paper work including the Form F and minutes of the fostering panel are forwarded to Foster Care Connect‚ independent Agency Decision Maker who makes the final decision if you are approved as foster carers. 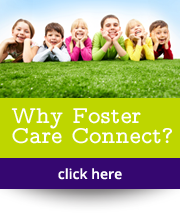 If the Agency Decision Maker supports the recommendation from the Fostering Panel you will be notified formally in writing and Foster Care Connect will begin identifying children who you may be able to foster. How long this takes will depend on your skills as a foster carer, and the needs of children referred to Foster Care Connect. If you are not approved, we will write to you to give you the reasons. This application and training process is free to applicants. Foster Care Connect pays for your initial training and full assessment, including costs of medical, local authority and disclosure checks. We also provide free ongoing professional development training for all foster carers who foster with us, to help keep your skills and knowledge up to date. Click for more on training and placements with Foster Care Connect.